With the US series having died after 1972, US driver Al Lader invaded the Players Canadian series and won four races in his red Brabham BT40. Craig Hill also opted for a Brabham BT40, as did Fred Opert customer Bertil Roos, so Brabham regained their dominant position in Formula B. The surprise package was Bill Brack's Lotus, a three-year-old spaceframe Formula 3 car that had been rebuilt by Doug Crosty for FB. Although it couldn't compete with Lader's Brabham, Brack knew that he would pick up maximum points as long as he stayed ahead of his fellow Canadians so he went the season without a single overall victory but still won the title. The Players series was down to six races but grids were up to an average of nearly 30. Of the starters, over 30% were new 1973 models and 25% were one year old. All Canadian and North American Formula B results have been compiled by Chris Townsend using Canadian Motorsport Bulletin, Formula, Racecar and On Track magazines and Competition Press and Autoweek. 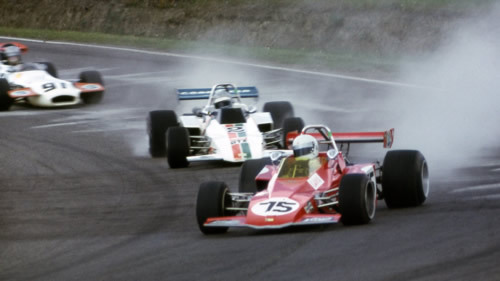 Most of the cars to appear in the championship over the period were from the production lines of March, Chevron, Lola, Brabham and Ralt but surviving production records usually only give the name of the agent. Where possible, chassis identities have been worked out by Chris with the help of former owners and some surviving team documentation. More help is needed - if you owned one of these cars or raced in the series, please get in touch. Please email Allen (allen@oldracingcars.com) if you have any additions, corrections or comments.